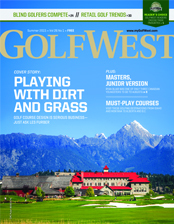 Welcome to the eMagazine version of GolfWest. 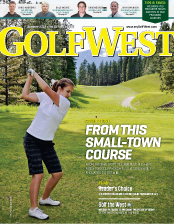 Our eMagazine is an exact copy of the print version of GolfWest, so it gives you all the same great articles in an easy-to-read format. To receive an email notification each time the latest eMagazine is ready for viewing, please go to our subscription page. Golf course design is serious business—just ask Les Furber. Find out more in our cover story, Playing with Dirt and Grass. In addition, GolfWest readers have chosen their golfing favourites in Western Canada and the U.S.—don't miss the winners of the 2015 Reader's Choice Awards! From the small city of Kimberley, BC, have risen two golf phenoms: Julia Dereniwsky and Jared Du Toit. Learn more about their stories in this issue's cover story, From this Small-Town Course. 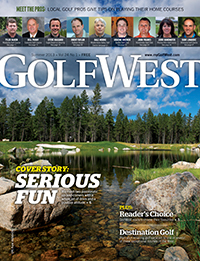 Also, GolfWest readers have chosen their golfing favourites—don't miss the winners of the 2014 Reader's Choice Awards! We profile a whole range of golf courses and get some great tips from the pros on how to swing, drive and putt with success. COVER STORY: We meet two passionate up-and-comers with a whole lot of drive and a positive attitude. Meet the Pros: Local Golf pros give tips on playing their home courses.